September is National Library Card Sign-Up Month, and while we all know that a library card grants you instant access to a treasure trove of books, DVDs, and audiobooks from our catalog, we wanted to take this opportunity to highlight some of the more unconventional but equally wonderful items you can borrow! 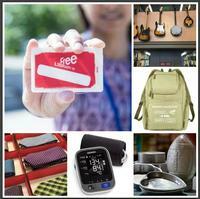 These items can be checked out for a lending period of three weeks, just like our other materials, and attract interest from those who may not be able to afford them otherwise, or who want to try something new without making the initial investment. No matter what the situation, these items are intended to offer access while providing related guidance on the subject, whether it’s a cookbook to accompany a cake pan or sheet music to go with a mandolin – and guess what? It’s all available at your fingertips with a Free Library card! In the Free Library’s Music Department at the Parkway Central Library, patrons can take advantage of the Musical Instrument Collection and borrow an assortment of instruments suited for beginners and virtuosos alike. Each instrument comes along with a kit that includes a gig bag, tuner, strap, and small amps and cables for the electrics! The South Philadelphia Library is home to the Health Lending Library, from which patrons can borrow tools to help them live a healthier lifestyle, including food scales and blood pressure cuffs. Time for a cheat day? Borrow a cake pan from the McPherson Square Library (and don’t forget a cookbook to go with it!). 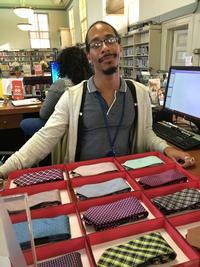 If you’ve secured that job interview but don’t know what to wear, borrow a tie, scarf, or jewelry from the Tiebrary, an integrated part of the Job Readiness Labs at the Paschalville Library, and make sure you're dressing to impress! 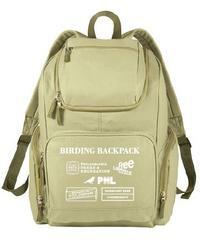 And if you’re itching to explore the great outdoors and get up close and personal with the local fauna, several Free Library locations offer birding backpacks stuffed with a pair of binoculars, maps, and a field guide! We’re so pleased to be able to offer some of these more unique items, but don’t forget: you need a library card to get them! Get yours now! What other unique items would you love to see the Free Library offer? Here's just some of the unconventional but equally wonderful items you can borrow from Free Library! Hi Virginia! You can visit one of our 54 library locations or sign in to your account to renew your card! Add a Comment to Library Card Signup Month | You Can Get WHAT at the Free Library?